Brothers Jim and Kent are bringing the recreation of their dads 1934 Hill Climb Car. 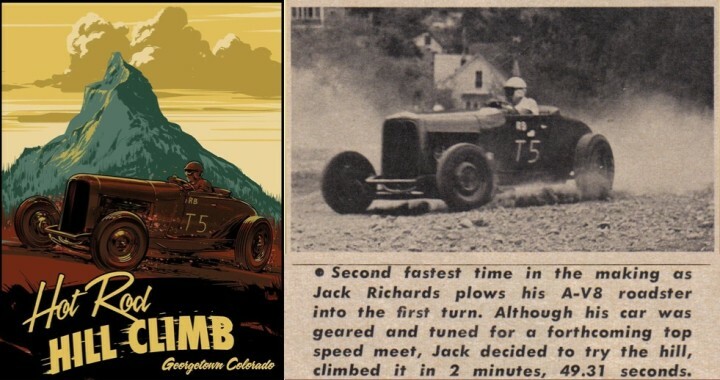 The original car was raced at Lands End Hill Climb, south of Grand Junction, Colorado, in 1941 by their 26 year old dad. 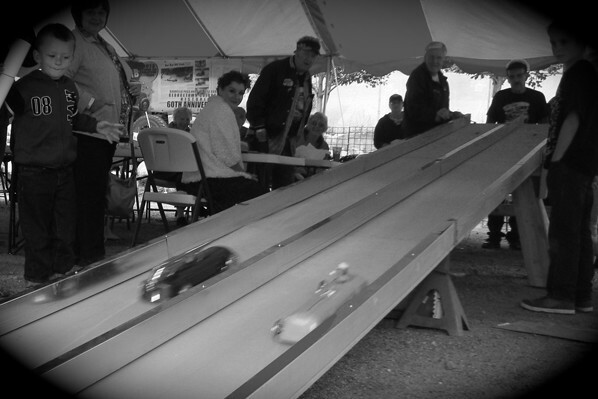 He competed against Louis Unser finishing 7th overall. 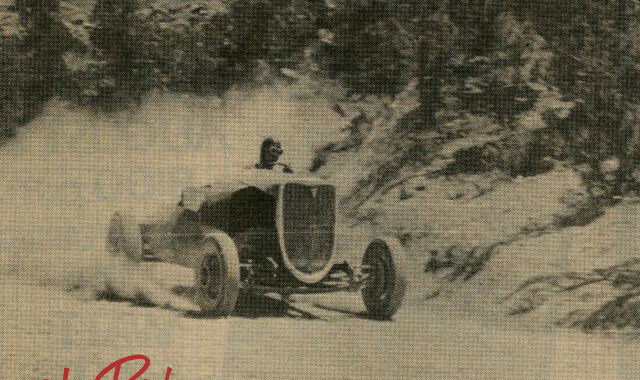 The 1941 course had 212 turns over 14.5 miles, a 5,000 foot elevation gain to 10,300 feet. 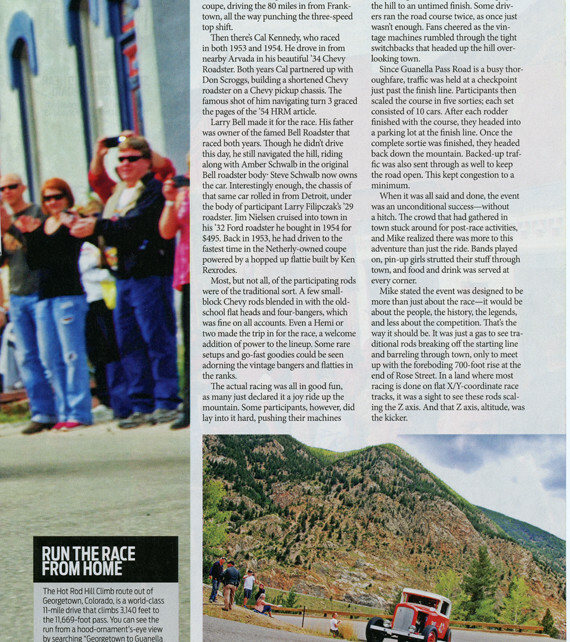 The race was AAA Sanctioned and had over 12,500 spectators. 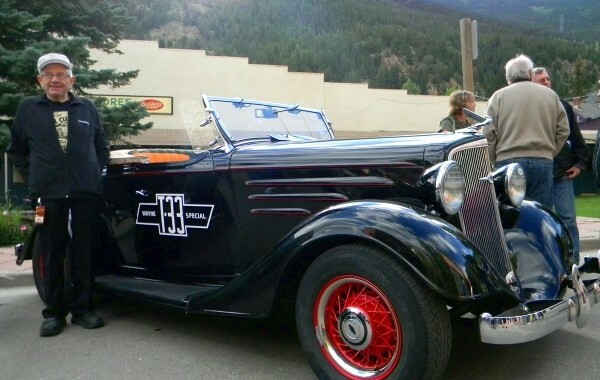 The replica was hand built in 1982 by the original driver, Bob Baughman at 67 years old! 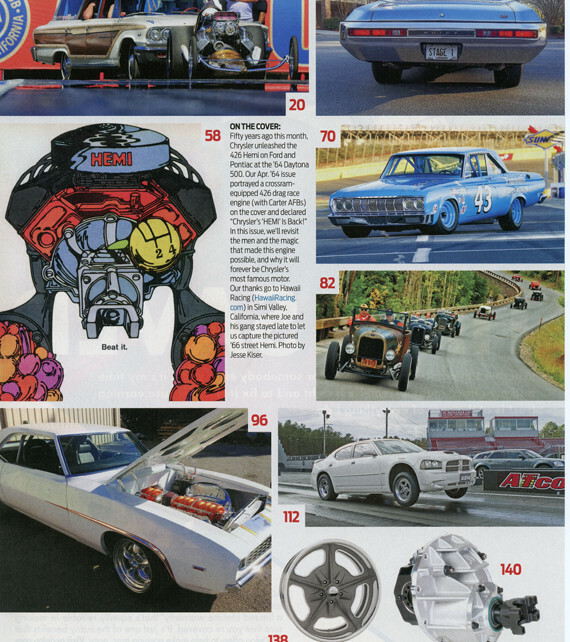 The car has a 1946 Mercury flathead backed by a 39 3 speed trans and a 4.11 ratio 1934 banjo out back. We are thrilled they are coming to celebrate the 60th Anniversary with us! 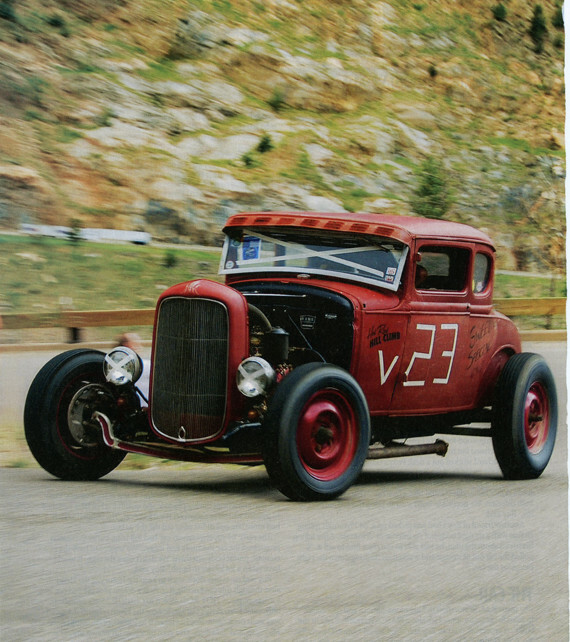 The Colorado Springs Rod and Custom Car Club is hosting a Valve Cover race following the feature Hot Rod Hill Climb Saturday September 13th, 2014. 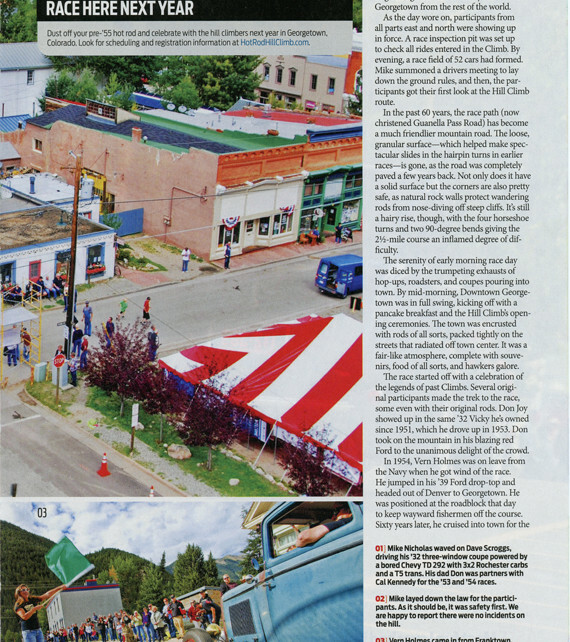 Mike and Emily Panos made the trip to Georgetown, Colorado (1 hour west of Denver) from Lawrence, Kansas in 34C, their 1934 Chevy Pick-Up. They were lucky enough to get rain both ways along I-70, however they agreed, “the time of our life”. 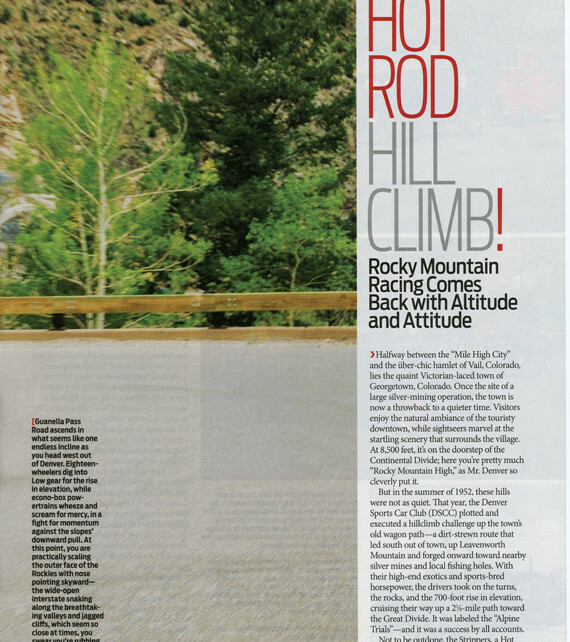 Take a ride with them up the Hot Rod Hill Climb course! 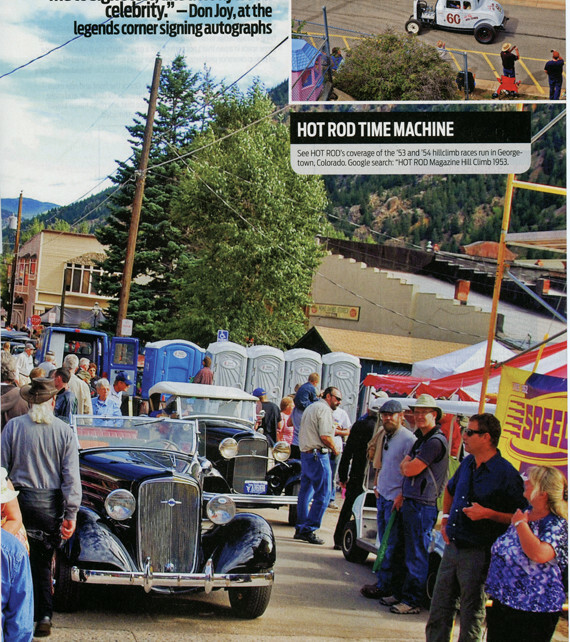 For the last 59 years, the Hot Rod Hill Climb in Georgetown, Colorado has been nothing but a memory. 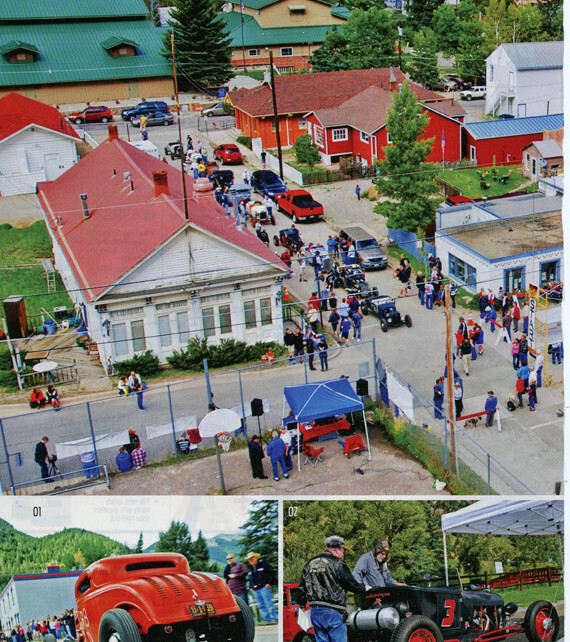 Held in the quaint mountain community for the first time 60 years ago, the hot rod event was short-lived, despite its popularity and outlet for the local hot rod community. 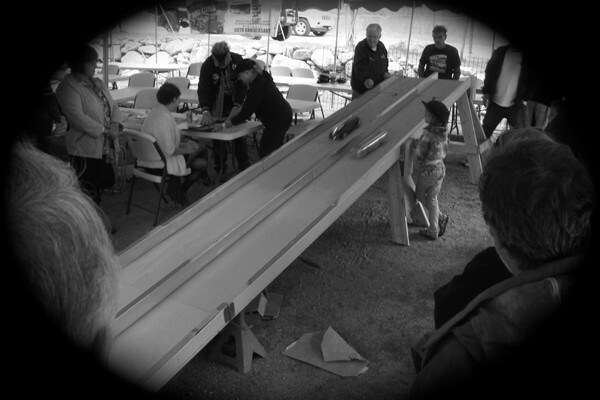 But after over 50 years, the hill climb returned and we were lucky enough to be there to take it all in with legends and newcomers alike! 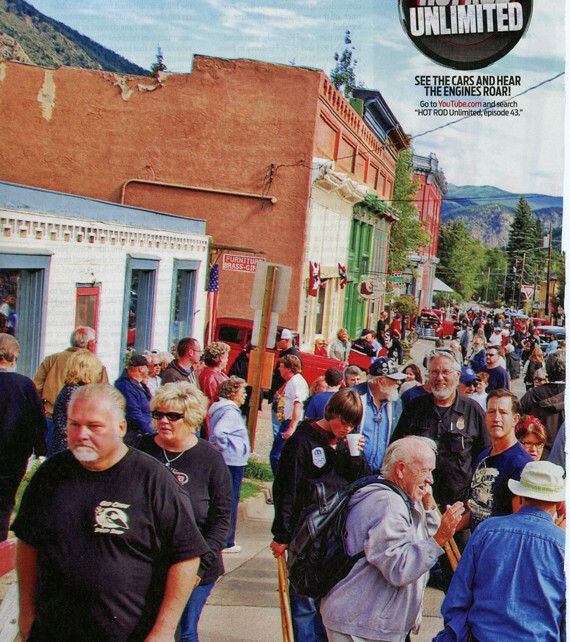 In 1953, the town or Georgetown, was a tiny mountain community 45 miles West of Denver with a population barely breaking 300 people.While this may not surprise many people based on the location of the town and available roadways back in those days, 60 years later Georgetown hasn’t changed all that much. 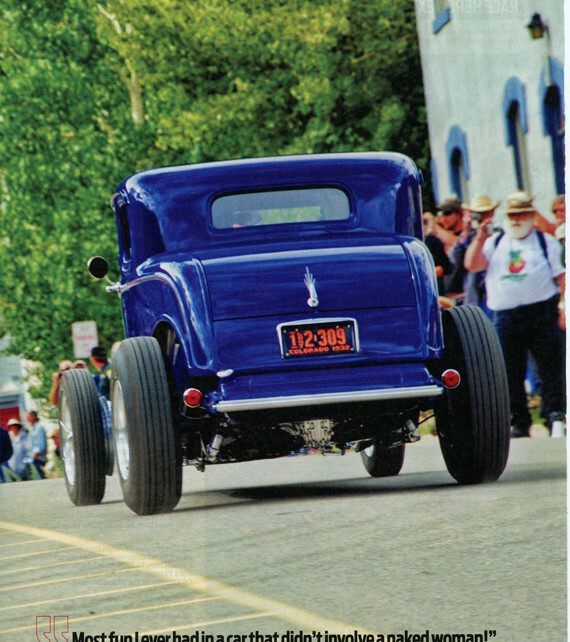 Plan to be in Georgetown for Colorado’s greatest traditional Hot Rod gathering ever! 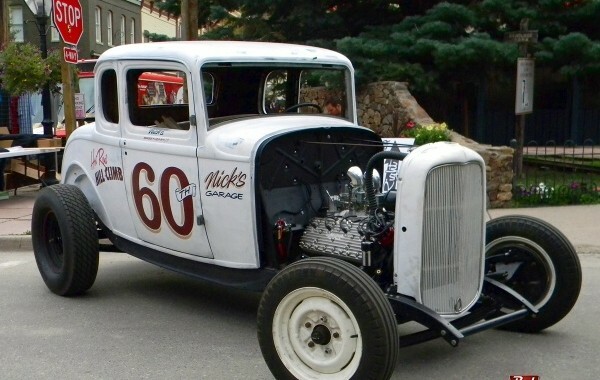 More than 50 early 1950’s Hot Rods will take on Guanella Pass Road out of Georgetown. 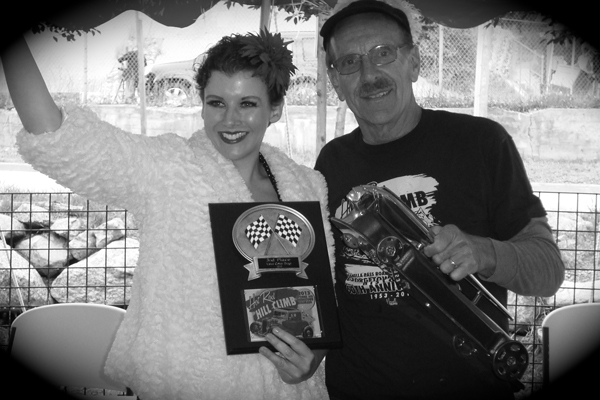 There will be a Pancake Breakfast, live 1950’s Rock and Roll, 50’s Costume Contest, Valve Cover races, do not miss this event! Cal is a regular member of the Thursday morning coffee clutch that seems to be a core of DTA members. He drives from west Denver to east Aurora to bring his long time friend Bud Irons to breakfast, they are quite the pair. Cal and his friend Don Scroggs met at the telephone company where they worked, they bonded over the Chevy bowtie. 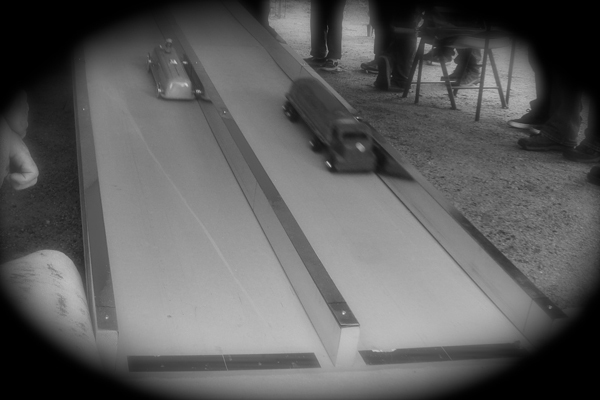 They went on through the early 50’s racing a six cylinder Chevy. 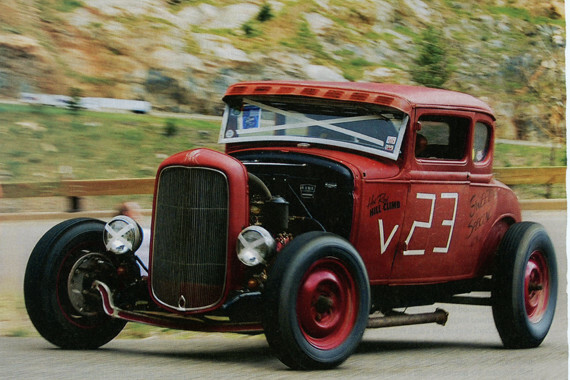 The car started as a 1936 Chevy pickup and later got a 1934 Chevy roadster body. 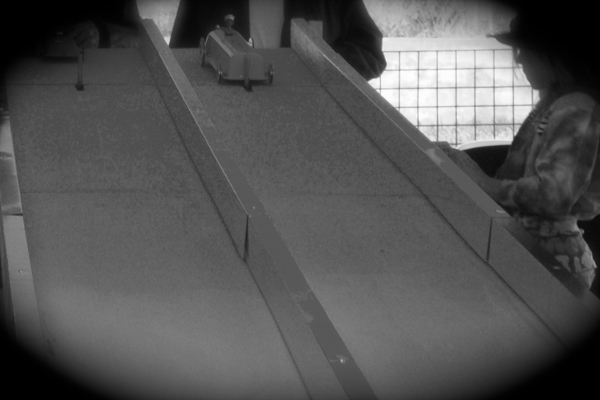 This was there entry for the Hill Climbs both years. 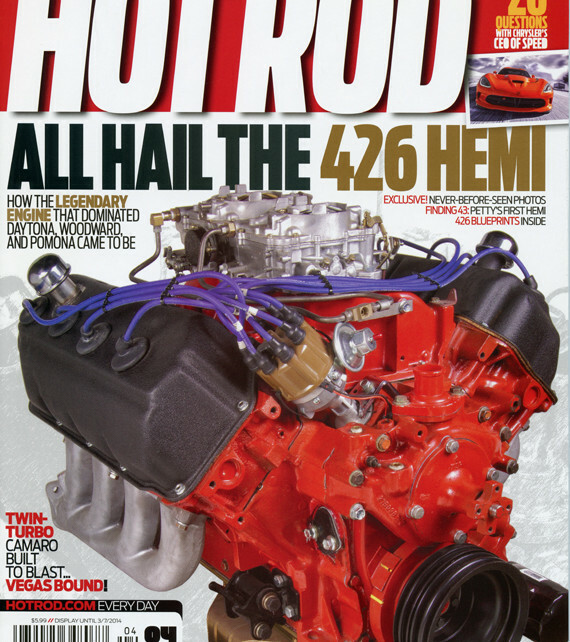 In 1954 they had a super rare Wayne 12-port Chevy motor in the car, Vern Holmes said, “you could hear that thing coming from Denver”, describing the car at the 1954 event. 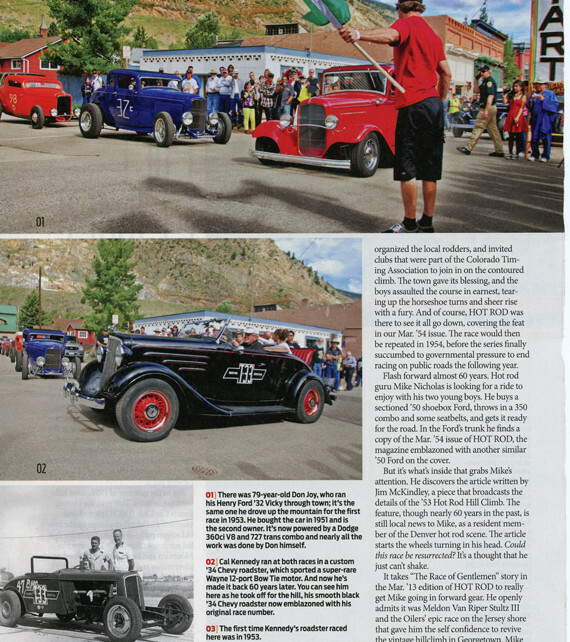 Cal attended the Historic 60th Anniversary event with his smooth black 1934 Chevrolet Roadster on 15” red wire wheels. 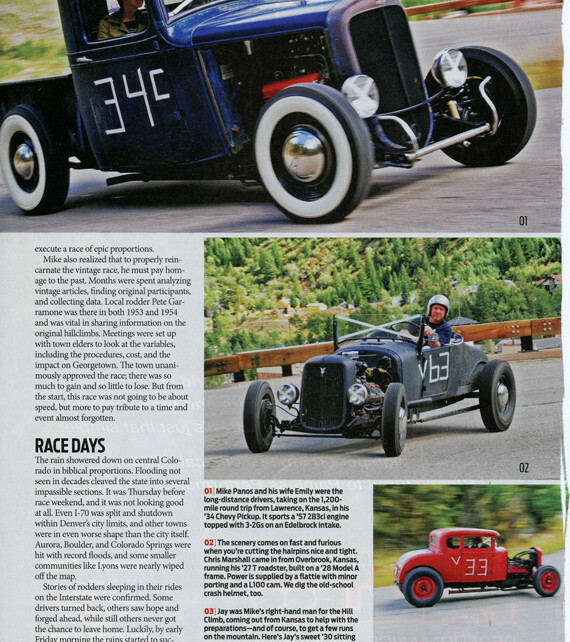 It was an extreme honor to have Scotty Lachenaur make the trip from New Jersey to Colorado to write this excellent article on the 2013 60th Anniversary Hot Rod Hill Climb. 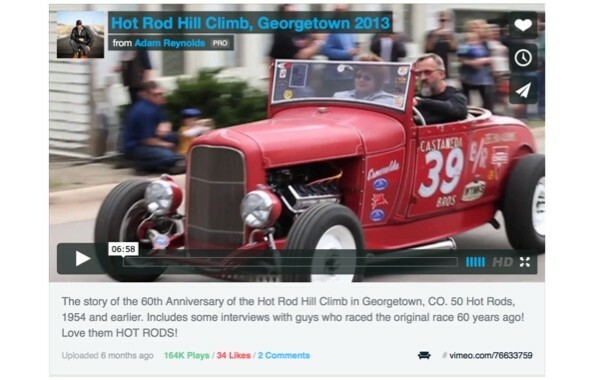 Local hero Jack Richards in his T-5 roadster, conquering the Hot Rod Hill Climb. 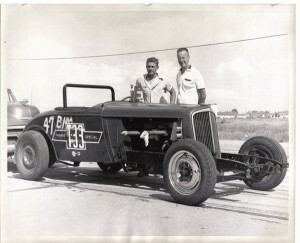 He took this roadster to Bonneville a few weeks after this event and went over 100 mph. 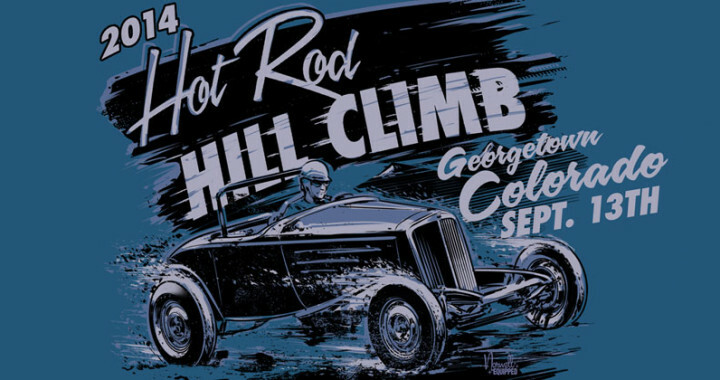 This artwork is inspired by the photo Ted Spencer took in 1953 that graced the pages of Hot Rod Magazine, Jeff Norwell designed this breathtaking moment on Leavenworth Mountain. This is a 10 color 18″ x 24″ hand screen printed by artist Rob Schwager of Tiny Bird Press. These are limited edition, only 100 were printed. Each poster includes special shipping tubes and sleeves to protect the print, and shipped individually. Also a Limited Quantity were signed by the artist, Jeff Norwell. 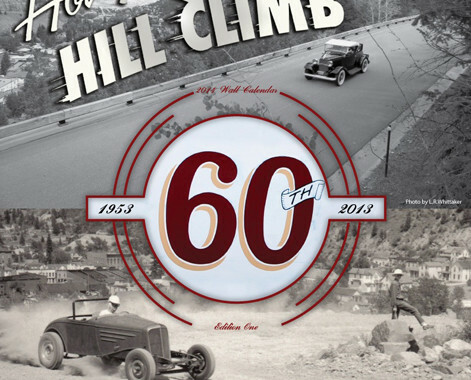 This is our limited edition 2014 Calendar with photos from the 2013 event and the original 1953 event.